2 Bedroom Flat For Sale in Berkshire for Guide Price £535,000. 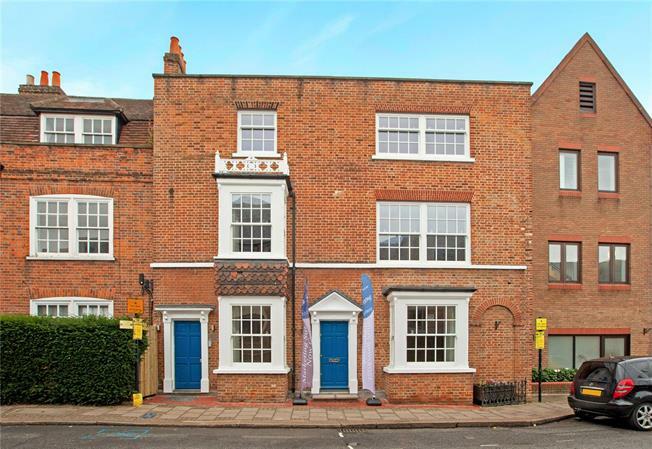 Introducing contemporary living into a period building, situated within the heart of Windsor. with parking, lift and individual storage rooms. Hogarth House, an elegant Grade II Listed building sits in close proximity to both Windsor Castle and The Long Walk. Perfectly placed for access to Windsors’ expanding and thriving town centre with it’s eclectic mix of shops, bars and restaurants, Hogarth House also provides easy links to Windsors’ Theatre Royal and the River Thames. The Royal Borough of Windsor provides a blend of country lifestyle living within a bustling cosmopolitan town centre. Sporting and leisure options are plentiful with horse racing at both Windsor & Ascot, polo and horse riding in Windsor Great Park, golf at Sunningdale and Wentworth and rowing/boating on the River Thames. Immersed in history, and surrounded by Windsor Great Parks’ 5,000 acres of beautiful countryside, Windsor Castle has been overlooking the town since the 11th century. Just across the bridge lies historic Eton home to the world famous Eton College, seat of learning since the 1400’s. Not forgetting, nearby riverside Runneymede where King John sealed the Magna Carta in 1215.